The Ti-Lite tactical folding knife by Cold Steel features a design inspired by the classic switchblades of the 1950's. The only difference is there is no spring so they are legal to carry almost everywhere. It has a blade made from Carpenter CTS-XHP stainless steel with a durable black DLC finish. 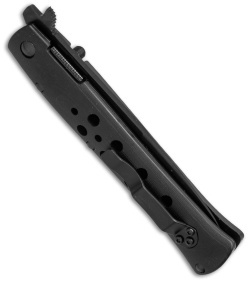 The handle is made from black G-10 which provides an excellent grip in any environment. Cold Steel has equipped these knives with patent pending, stainless steel leaf spring locks. Which have been proven in tests to hold 130 lbs of pressure. 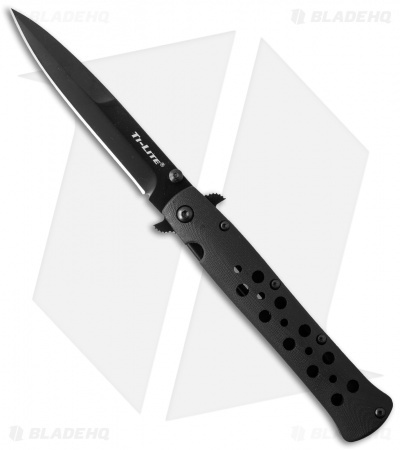 The knife is equipped with a small steel pocket clip for tip up carry. Cold Steel's Ti-Lite folding knife offers classic stiletto style and durable quality designed to withstand hard tactical use.